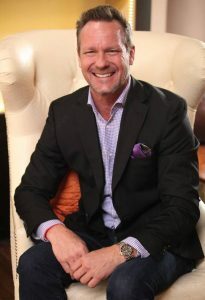 Andrew Williams is a commercial real estate investor and the President of Commercial Real Estate Success Training “CREST” which is dedicated to the education and success of individuals and companies across the United States. After 20 years in real estate and finance trenches, his fun and entertaining style is contagious. His students refer to as Professor Cash Flow because of his ability to create cash flow out of thin air. The Professor has mastered the ability to simplify and successfully teach complicated and often confusing real estate investment strategies. Andrew believes that anyone who wants to have true wealth, financial independence and freedom can achieve it through real estate. The right education and training coupled with the right mindset and work ethic can set anyone on the path of success and happiness. Over the span of his career he has developed proven systems and simple to follow formulas still effective in today’s market and shares these systems with his audience. Andrew has been a practicing real estate investor and educator since 1996 and has acquired over 70 apartment complexes and been involved in over 20,000 unit transactions. He has been involved in most aspects of commercial and residential real estate for 15 years and has developed funding models that rose over $750 Million from private money lenders. Andrew has been involved in acquisition and renovation of 1000’s of units, property management, real estate development and real estate investment systems. He has held real estate (Arizona) and mortgage licenses (AZ, CA, WA, NV, OR, WA), hosted a daily radio show dedicated to real estate education and been a featured speaker and educator at numerous events in over 38 states. Andrew holds a Bachelor of Science degree in Business and Finance from California State University of Chico. Copyright (c) 2018 by Commercial Real Estate Success Training.